Escalators in the Hall building create issues for students with limited mobility when they’re out of order. University Spokesperson Mary-Jo Barr noted that in 2012, all elevators and escalators in the Hall building were replaced to increase efficiency. 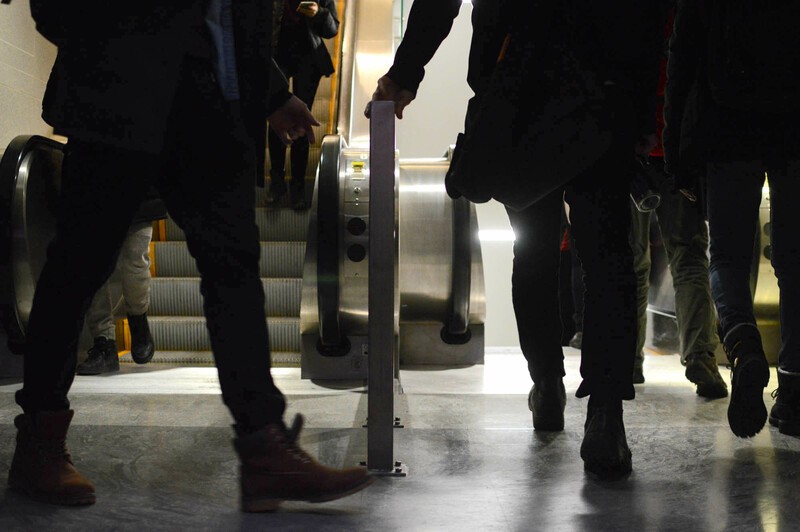 “We have seen a dramatic decline in comments about escalator/elevator downtime,” said Barr. The unscheduled downtime, however, can create a lot of traffic throughout the building, forcing students to use the elevators and stairwells. “I can use the stairs especially since I’ve never had a class above three floors from the ground floor there, but for some people it’s a lot of work going up those stairs,” said Lariviere. Interruptions can also make students late for class. “My class is on the 10th floor, so I had to run up the escalators that weren’t even working. It made me a few minutes late in the end,” said English and creative writing student Bryony Hoare.